Todd’s Graphics To Go can help with all your printing needs. We do all of our design in house so you can meet with and talk in person to your graphic designer. We can also accept your print ready files. If you don’t see what you were looking for give us a call at 407-322-2923 and we’ll find it for you. We have both raised lettering (thermography) and full color business cards available. You can get one sided or two sided business cards. The full color business cards are available with a variety of coatings and styles. You can get glossy, matte or spot UV coatings. There are business cards with a metallic silver coating. All of these styles are also available with rounded corners. We even do plastic and metal business cards. We sell full color postcards for every need. The postcards are available in a range of sizes. We can save you money the next time you want to advertise. We can also list and mail your postcards at a bulk mailing rate. 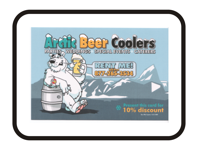 Postcards can be an effective way to communicate with new or valued customers. We print flyers and brochures. Whether you need full color brochures or cheap black and white flyers, we can help. Available in a variety of sizes and stocks. Brochures can be printed on both sides and folded. Flyers are generally one sided but two sided flyers are available. You can even get spot UV coated flyers and brochures. 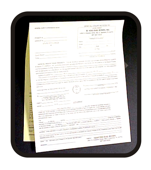 We sell business forms, everything from invoices to sign off sheets. Available in half sheet, letter or legal size. Carbon-less copies come in 2 part copies to 5 part copies. We can also set up forms for you to be able to print them off your own printer. Printing your own forms means you will never run out again. We can supply you with spot color or full color letterhead and envelopes. 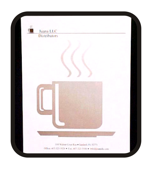 All of our letterhead is laser safe and ready to use. Our envelopes come in every size and are available with or without windows. You don’t have to spend a fortune on the necessities of business. Let Todd’s Graphics To Go save you money on your everyday needs.